Yoghurts, there are so many to choose from – Chocolatey, Fruity, Low Fat, Natural, Greek, Protein, Bio, there is a whole aisle just for yoghurts! 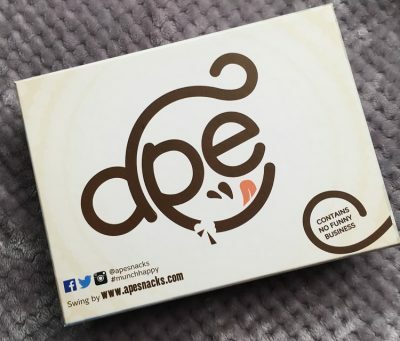 So how do you choose when everyone is trying to be the top dog? Yoghurt is something that I phase in and out of, every since Muller Light’s disastrous recent efforts I hadn’t really been all that into yoghurt but have recently been branching out so to speak. 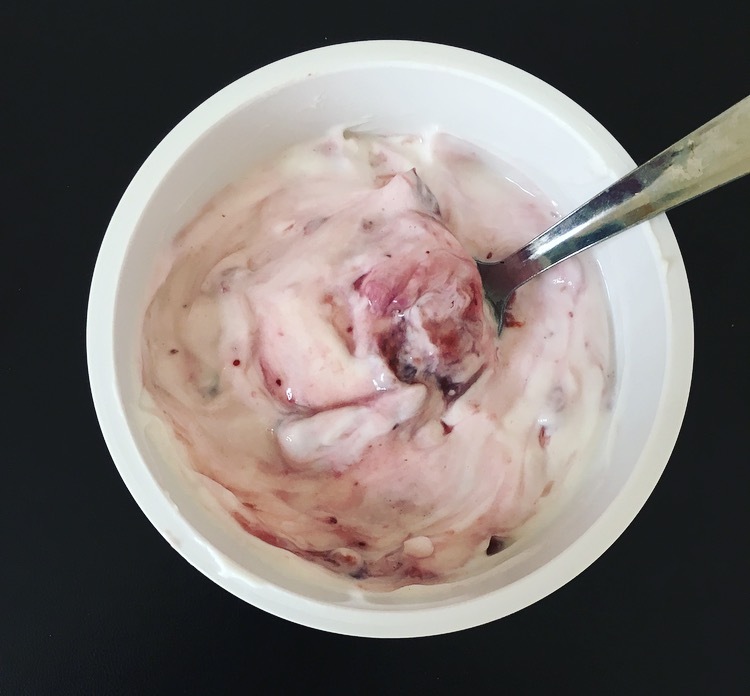 Today’s review is all about 3 different Arla SKYR yoghurt – SKYR Strawberry, Mixed Berries & Blueberry & Elderberry. Made from all natural ingredients, Arla SKYR yoghurts are low sugar, low fat and high protein and aid in keeping those hunger pangs at bay. Thick creamy yoghurt that wasn’t at all sharp like most unflavoured yoghurt. The layer of strawberry was incredibly thin and was more of a smattering on the bottom with little pips and a few rogue mini strawberries. Mixing it all together the flavour didn’t change all that much. There was a hint of strawberry but only obvious when I hit an actual strawberry. 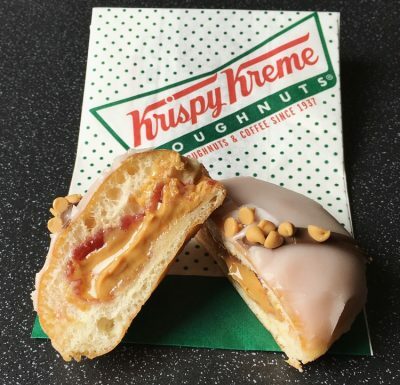 This is a nice alternative, just there isn’t all that much flavour. Now this was a layered yoghurt! 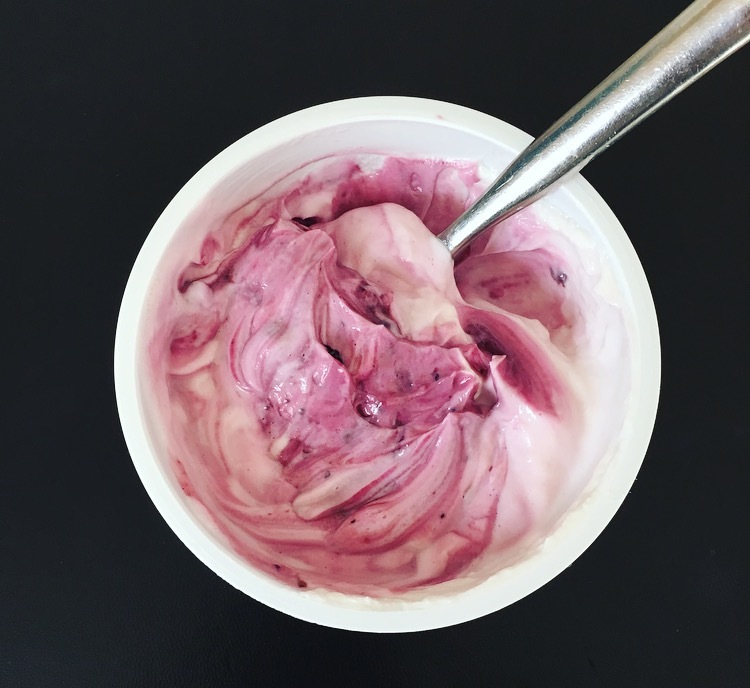 A thick layer of blueberry and elderberry you can see as present beneath the plain yoghurt and when mixed together made for a very pretty colour. Again the yoghurt was thick and creamy and tastes pretty indulgent given it is low sugar and fat. The blueberry was the dominant flavour that was slightly offset by the elderberry. This was a fresh and fruity yoghurt and a nice addition to my granola brekkie. I really thought this would be along the lines of the Blueberry & Elderberry but alas it mimicked that of the Strawberry. I cannot fault the plain yoghurt but the layer underneath was pretty poor, which is shocking given the amount of different berries on the ingredient list. Watery and thin, it didn’t bring much berry flavour to the table, and oddly it actually had more of a hint of almondy flavour than mixed berries. Nothing to write home about or rush out and buy again. 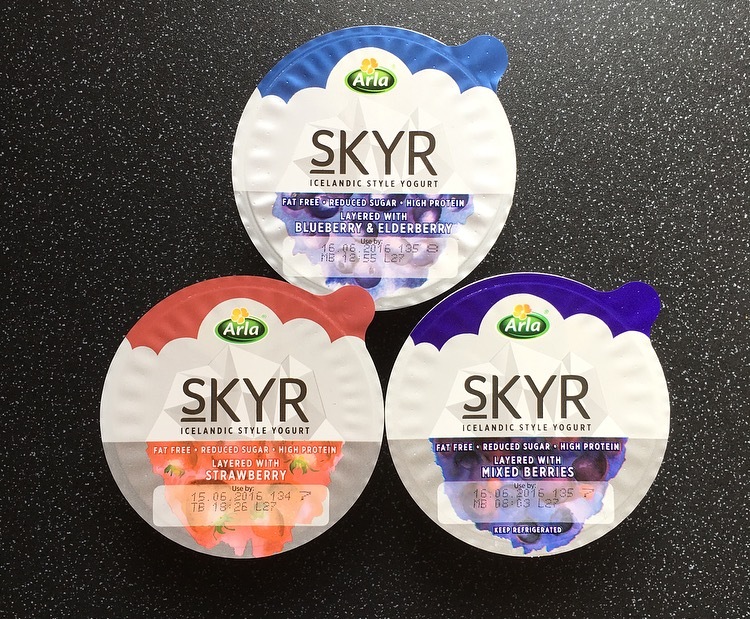 Of the three Arla SKYR yogurts the Blueberry and Elderberry is by far my favourite and I already have a few stocked in the fridge. 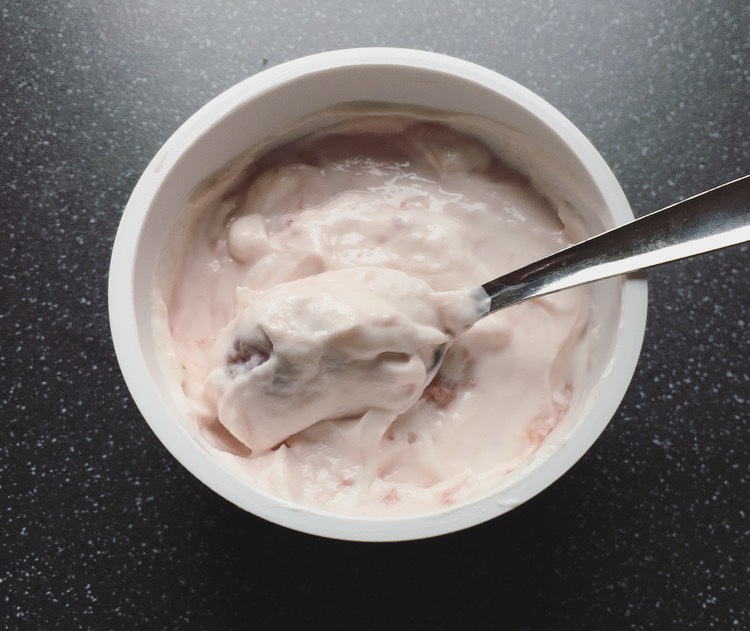 For a low fat, sugar and high protein yoghurt it ticks the boxes of a more indulgent yoghurt – thick, creamy, tasty and a nice healthy alternative to other yoghurts on the market. I am a little bit obsessed with these yoghurts and especially on my current expedition down the WeightWatchers route (3sp for the pot) they are high up there on my lunchtime snackage 🙂 I do agree however that the fruit layer is a tad bit miserly and could do with a bit more just to make it a little bit more exciting.